Splashpress Media, the network behind BloggingPro.com, BlogHerald.com, Apple Gazette and other top niche destinations on the web has announced a new freelance writers guest post forum through the popular freelance writer website FreelanceWritingGigs.com. 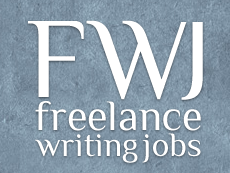 Writers interested in creating a portfolio of content for their own use can visit the FWJ content FORUM and then examine various website writing opportunities under the Looking for a guest author section. SPM is currently offering various opportunities from Apple Gazette, BloggingPro, 901AM and various other websites on the network. More website opportunities will also be posted in the future. After guest posts are submitted they are chosen for publication by a SplashPress Media editor. Unique content. No ifs or buts. We all know the importance of unique content, and we will only use original entries from writers. Quality rules. More than offering original work, please ensure that what you put up is of high quality. Think of your readers, and make sure that they get added value from reading your guest entry. Link to previous content. We ask that you link to a related post found in the site that you are writing a guest post for. This is easy enough to do – just use our on-site search for relevant content. Maximum 1 link/125 words. We realize that you may want to link to your own pages and other work, so we are not averse to links in our guest posts. We do ask, however, that you observe this limit. No unethical links. Speaking of links…please do not abuse the ability to drop links in the guest entry. Unethical sites, software, commercial, and keyword unrelated links are not allowed. Also, please do not use cloaked or shortened links. Make sure your posts are well structured with focus on a specific topic. Browse the site you want to write for and gather an understanding of the content generally published. Also be sure to separate content sections with bold headings (such as the headings shown in this post). Please be sure to provide correct attribution at the bottom of your post. For example [Image via Photopin]. With your content you will receive proper accreditation and a link to your own projects which should help your web presence by showcasing your awesome ability to write quality guest posts. Apple took the stage and announced two new iPhone 6 models that were, and still are, aimed at the Android competition. The two devices come with the usual array of high-end features including speedy processor, solid rear camera, and high-resolution display.